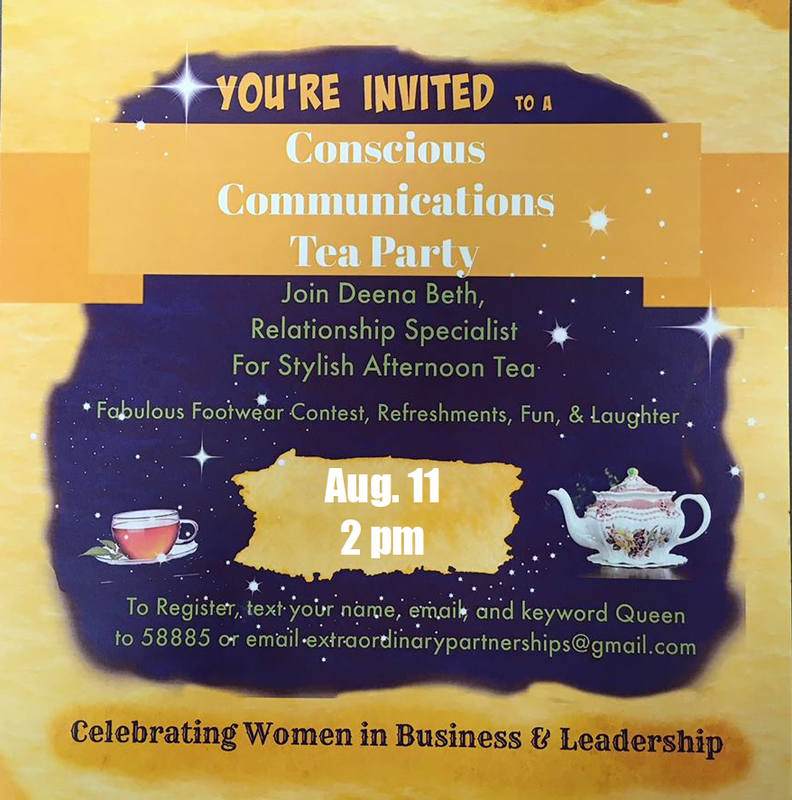 You're invited to a Conscious Communications Tea Party! Join Deena Beth, Relationship Specialist, for stylish afternoon tea. There will be a fabulous footwear contest, refreshments fun, and Laughter.